Yvonne is an undergrad planning to major in neuroscience at NYU. Her inspiration is Dr. Oliver Sacks, whose books made her want to help spread the word about science in any form. As one who has been more or less obsessed with science for many, many years, she's always ready to do anything that has to do with it. When not busy with classes or Doppler Effect, she can usually be found reading a webcomic, playing video games, or playing oboe. 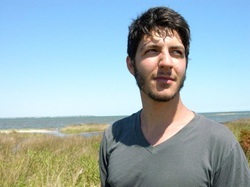 Kevin is currently a Pre-Med majoring in neuroscience at NYU. Throughout the week he is busy volunteering at a hospital in Brooklyn, teaching underprivileged Pre-K kids to read, messing with the Trichomonas Vaginalis bacterium in the Genomics Center, and can be found after a long day of Pre-Med hoopla lifting weights at NYU’s Coles Sports Center. And after hours of studying numb him to the seduction of science, he likes to regain optimism by searching for, reading about, and sharing the more interesting stories in science. 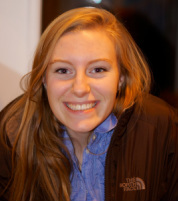 Katherine is a student in NYU's science journalism graduate program and proudly hails from Wilmington, Delaware. Her favorite topics include gross bodily functions and food science, though hopefully not mixed together. In addition to writing and podcasting, Katherine enjoys researching factoids about the First State, long-distance running, swing dancing and spicy Korean BBQ. JoAnna Klein is a science journalist and published scientist from North Carolina. With a master's degree in behavioral psychology and four years working in behavioral neuroscience, JoAnna knows a lot about how animals process emotional memory. Her love for storytelling and all things science brought her to where she is now, a master's student at NYU's Science, Health and Environmental Reporting Program. Her natural curiosity and interest in the human side of science fuel her most of her stories. In her spare time, you can find her running, listening to music or exploring the world around her. Nicole is a biology and animal video devotee from Queens, New York. She used to be quite the lab rat until she joined the science journalism graduate program at NYU, where she started on a path to a coffee habit. Besides science and podcasting, her interests include watching documentaries, going on road trips, and playing pub trivia. She likes telling stories about everything. Amy is an undergraduate studying Journalism and Politics at NYU. She loves storytelling and reading memoirs, especially those that involve science or technology. You'll often find her strolling around Washington Square Park bobbing to Frank Sinatra or Ella Fitzgerald. When she's not spending quality time with her cat, she likes to play endless rounds of mahjong with her friends. Audrey is in the liberal studies program planning to major in media, culture and communications. Although she claims that she lacks any competence in the subject, science has always found its way into her life despite causing her so much joy yet so much pain all at the same time. She is a member of Unicef and Jumpstart, where she teaches preschoolers how to read. In her spare time she loves to hike, bake, and obsess over all things basketball - especially her hometown team, the Chicago Bulls (maybe one day science can figure out a way to help them destroy the Miami Heat). 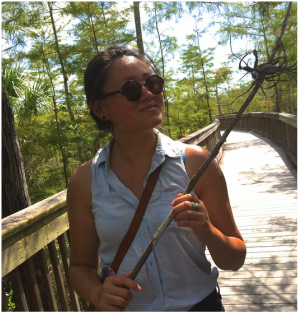 Steph is a grad student in the Science, Health and Environmental Reporting Program (SHERP). She hails most recently from dreamy Providence, where she spent a lot of time "doing science" (read: baking dirt in windowless basements), chopping vegetables and dancing around town. Though nowadays she spends her time doing journalism, she really dreams of creating a traveling puppet show about science. Everyone is invited to help paper mâché, play music and boogie. Liz Newbern Hails from the southern climes of Arkansas. Having recently acquired a B.A. in geology from Bryn Mawr College, which has led to many trips with pockets filled with rocks. During her brief reprieve from school, she spent time working at an independent book store, helping folks find that book they heard about on NPR. Now she's a graduate student here at NYU, eager to get people interested and invested in scientific research. 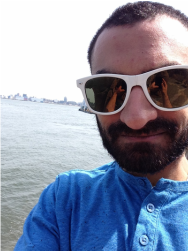 Neel is an aspiring science writer, currently pursuing a master’s in journalism at NYU, and has recently found himself developing quite the liking for radio. There are too many passions to list, but a few include electron-positron annihilation, basketball, road trips, and the evolution of consciousness. You can follow him on twitter and favorite his (sometimes brilliant, often confusing) tweets at @n_vpatel. Kathryn Tam likes to nerd out on a lot of things, and right now she’s going through a phase of nerding out on architecture, urbanism, and everything in between. Even though she is the opposite of a science genius, she finds everything about it fascinating, and that only feeds her curiosity more. If you don’t find her watching every documentary by this guy, or listening to this guy (or these guys), then you’ll probably find her with her camera, trespassing into cool-looking buildings she’s not allowed in. She hasn’t been arrested yet, but don’t worry, she always knows where the other exit is. Heather is a Gallatin undergrad studying Museum Management with a focus on community outreach and educational programming, although she recognizes that this is subject to change at any moment. Aside from Doppler Effect, Heather works at Scholastic Media as an administrative assistant and is a member of Pi Beta Phi. Aside from all of those things, Heather enjoys playing Bananagrams, watching college basketball, and convincing her friends to update their phones to iOS7. Katie is a journalism grad student with the NYU Science Health and Environmental Reporting program (or SHERP). She enjoys writing about neuroscience, health and babies whenever possible and is a known audio and podcast junkie. When Katie is not learning about radio, reading about radio, listening to radio or doing radio...well right now she doesn't do much else. But her absolute favorite place to unwind is at home in her apartment in Astoria with her cat Charleigh. Camila came to the Doppler Effect despite her science-less studies in Comparative Literature and Creative Writing. She has met a group of inspiring people through the show, to whom she feels grateful and indebted. Due to minimal expectation about her science background, Camila will cheerfully ask simple questions about big topics, and is always excited to learn something new. 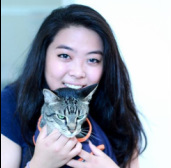 Upon graduation, she hopes to pursue radio and/or print journalism, explore her new love of cooking, and get a dog. Jon Chang was once an auditory neuroscientist. As a result, he's obsessed with all forms of sounds and brains. After moving to New York for journalism schooling, it was only a matter of time until he gravitated towards WNYU to start talking about all sorts of geeky things. Other unhealthy obsession include: slimy or scaly critters, video games, and concocting things like bacon brownies or habanero cheesecake. 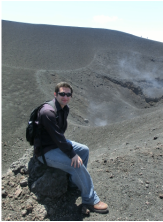 Colm is currently working on a PhD at NYU's Physics Dept, and so is one of the active scientists on the team. He spends his time thinking hard about whether he should put quotation marks around the words "working," "active" and "scientist" when describing what he does. Colm is also the only non-US national, and he figures that the only reason he's on the radio is his Irish accent. This feature - arguably his best - will therefore be preserved in his "radio voice," which is otherwise a work in progress. Kate Yandell's life goal is to understand how the world works. If anyone can summarize her interests in a more focused way, please let her know. Her past pursuits include studying marine worms, making cheese, and comparing translations of Beowulf. She enjoys singing in choirs and frequently startles people with strange vocalizations while walking the streets of New York. 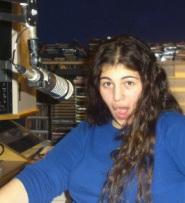 She is excited to lend her (speaking) voice to the radio! Jonathan Zrake was introduced to the Doppler Effect crew while under the influence of Bez. Like Bez and Colm, Jon is part of the NYU physics department. There he has spent the past 4 1/2 years clumsily piecing together a PhD in computational astrophysics. Mr. Zrake is knowledgeable about a small number of things, and enjoys BS-ing about everything else. Jon Chang introduced Mr. Zrake to his first Doppler Effect segment where they spoke about the alien and zombie behavior of certain ants and lady bugs. Rose Eveleth never knows how to describe herself in these bios, but she likes bugs, fish, birds, riding bikes and tromping around in mud. 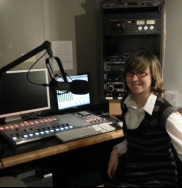 A convert from the lab bench, she's been drawn to radio by quirky stories, interesting sounds, and the number of buttons she gets to push on the sound board. She's currently trying to find someone to take her SCUBA diving in the Hudson River, and is obsessed with the sounds koalas make (seriously, listen). Sarah Fecht is the kind of person who’ll talk about science at a party, on a date, or with strangers on the train… she is delighted at the prospect of finding more eager audiences through Doppler Effect. She hopes one day to become a professional science journalist, where people will pay her to write about crazy and important scientific discoveries. Besides for science, she likes cooking, reading fiction, and getting addicted to canceled tv shows. Chuck Furlong is incredibly excited for the Doppler Effect this year. He has hosted the show for all of 2011 and is very happy to be joined by such a great team for the new format! Outside of the editing and on-air studios, Chuck is an aspiring clarinetist. He hopes everyone enjoys the new shows. Bez is intensely interested in science, and is fascinated by all the little mundane games he finds in life. Such as seeing how long and how buzz-wordy he can make his biography sound without actually providing any definitive information about himself such as his occupation, personal hobbies, or motivation for participating in the best science radio show on WNYU 89.1 FM. Katie Palmer is a dork, from performing in symphonies (High-school nickname: Orch Dork. Really.) to sleeping in bio labs running PCR to playing every iteration of Scrabble known to man. Katie's now trying to extend her dorkiness in all directions, exploring lots of science-y topics in print and on the air. For her birthday, she would really like a looping pedal for her cello, so she can rock out with some ambient improv and maybe record some wicked intro music for the Doppler Effect.